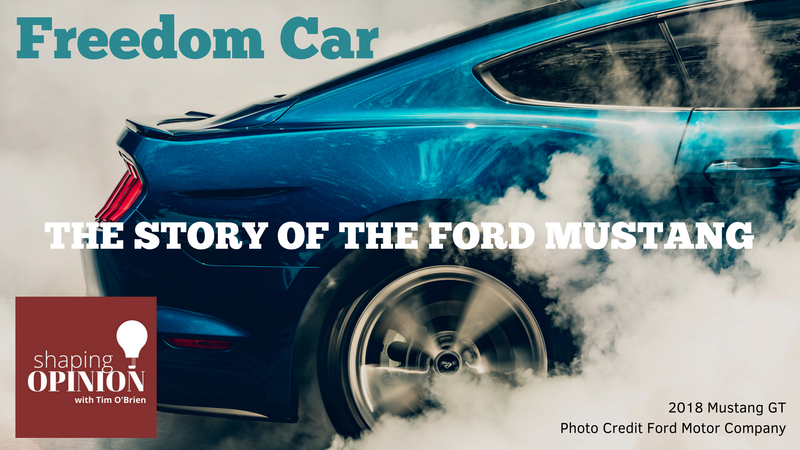 In August, the Ford Motor Company reached a milestone when it produced the 10 millionth Ford Mustang rolled off the assembly line in Detroit. The Mustang has weaved its way int our culture through advertising, music and Hollywood. It’s largely recognized around the world as one of America’s strongest cultural exports. While sales of the model have decreased in the U.S. in recent years, the car is gaining popularity overseas in places like China and Germany. Over the years the car was dubbed the original “freedom vehicle,” named after a horse that roamed free in the American West. The Ford Mustang was introduced in 1965, but it actually debuted in the Spring of 1964 at the New York World’s Fair. It wasn’t thought of as a muscle car, but rather a more affordable, sporty but appropriate for young professionals, including female drivers. This past year, Ford tapped a nostalgic nerve, introducing a new limited edition 2019 “Bullitt Mustang” alongside one of the original vehicles that appeared in the movie Bullitt, which was released in 1969. While the human star of the movie was Hollywood legend Steve McQueen, a case was made that th real star of the film was the Highland Green 1968 Mustang GT that McQueen drove through the streets of San Francisco. After filming was complete, a New Jersey detective named Frank Marranca bought one of the two or three vehicles used in the production. According to reports, Bob Kiernan had bought the Mustang from Marranca in 1974. Apparently, he found it in the Road and Track magazine classified and paid $6,000 for it back then. It moved around. First it was stored in Tennessee, then it was stored inside a friend’s barn in Kentucky. After that the family moved the car to a garage on their property in Memphis around 1984. In 1977, Steve McQueen approached the family to buy the car and they turned him away. Bob Kiernan loved the car, and even used it as a family vehicle for a time. According to Bob’s son Sean, the two had planned to eventually work to restore the car, but sadly, bob died in 2014. It’s been reported that in 2015, Sean approached Ford. Since then interest in the car has increased as the company prepared to mark the 50th Anniversary of the movie Bullitt and celebrate what is the most famous Ford Mustang ever. At the University of Dayton since 1984, Professor John Heitmann has taught a wide variety of courses in the history of science and technology and environmental history. He is a former President and Board Member, Society of Automotive Historians; a member of the Popular Culture Association; a member of the American Historical Association; and a member of the Historic Vehicle Association. 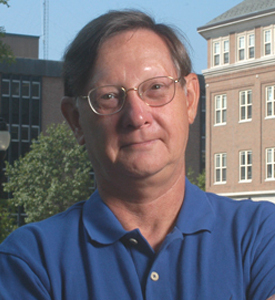 Active on numerous departmental, college, and university committees, John served as chair of the Department of History between 1991 and 1995. 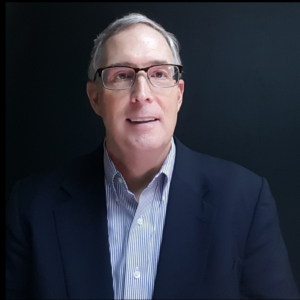 He has an active research agenda exploring connection between science, technology and religion, and additionally pursues topics related to the history of the automobile. In his leisure time, he continues to restore a 1971 Porsche 911T Targa and plays tennis in USTA leagues. John is the past Alumni Chair in the Humanities.